It was a bright, sunny morning along a tropical Queensland Road as I drove from Babinda Boulders to James Cook University Campus in Cairns. Passing the sugar cane trains with their little trolleys full of sugar cane mulch, the ocean to my right and the Great Dividing Range on my left. It was the beginning of my 2 month road trip around the Eastern half of Australia to document as many LGBTIQ+ stories as I could from CALD/Ethnic/POC rural communities. My first interview was with a Cairns LGBTIQ+ pioneer and hero – Vyvyen Wong. Vyvyen was one of the founders of Cairns Queer Film Festival, a driving force behind Cairns Tropical Pride and a local hero for LGBTIQ+ communities and their allies. She is currently a Project Officer at The Cairns Institute, James Cook University and is loving the development space. 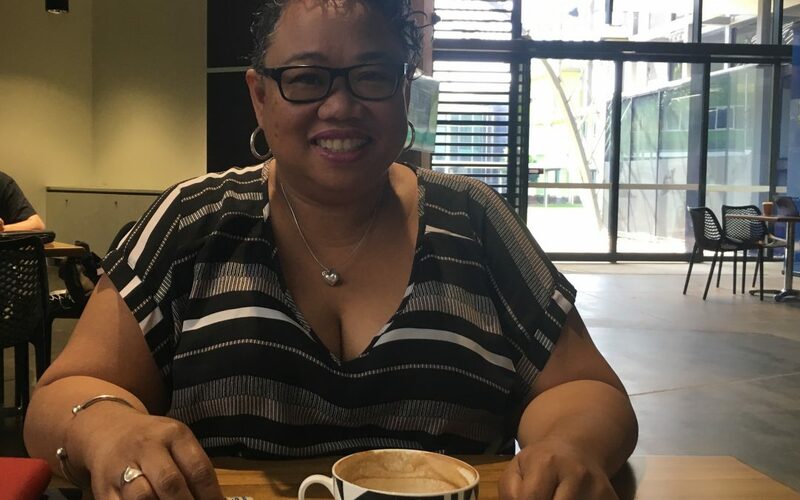 Sitting down over a cuppa in the blissful cool of the shady inside, I began to ask Vyvyen about what life was like for her growing up as a lesbian Chinese Papua New Guinean Australian woman. “I grew up in Rabaul, PNG with my Chinese Dad and Papua New Guinean Mum, I am the youngest of 9 children. When I was 12, my parents sent me to boarding school in in the Gold Coast, QLD, Australia. They believed in investing in their kid’s education, education was important to them, it meant security for the future. I went to an all-girls boarding school. The first day was ok but the second day I cried. I didn’t know the routine. When I woke up, I didn’t know what to do. I was 12 years old, I didn’t know where I was meant to be, I didn’t know who to ask, I felt isolated. But as soon as I worked out the groove, I really enjoyed school, I made good friends there and when I finished, I did the good traditional thing and enrolled in an accounting degree in Lismore, NSW. However, accounting was not wanted I wanted to do. In fact, I wasn’t sure about the whole university thing at that time. On the day of enrolment in my second year of university, I actually flew to PNG and told my parents that I missed the enrolment date (which I did on purpose!). It was 1987, I was 19, it was an exciting time. The World Expo was being held in Brisbane. So, I did up a resume and got a job at a lovely French Café on Queen Street Mall in Brisbane. I pretended I could speak a little French so I got the job! This was also the first time I realised I was a lesbian. I had a crush on my cousin’s best friend who was also a Chinese Papua New Guinean woman living in Brisbane and who also had a crush on me! I had had a lot of friends in the lesbian and gay scene in Brisbane. At this time, I also lost a good friend, who was a gay man, to AIDS. Working in the café scene and then the airline industry, I met a lot of other lesbian and gay and trans people. These industries were also very multicultural but I didn’t meet many lesbian and gay people of colour. Let me tell you, the Brisbane LGBTIQ scene was very definitive. There were two main bars then in Fortitude Valley that were gay bars – The Beat, which still exists today, and one other. Whilst I was often the ONLY person of colour in the gay bar, I didn’t notice it as much, rather the distinction was between whether you were a butch lesbian or a lipstick lesbian. The butch lesbians would wear denim jeans, a white singlet and a men’s vest. And if you liked to were make-up or colour or skits then you were considered a lipstick lesbian. My two friends and I would love to dress up, we loved bright colours and when we entered everyone would look at us. So I felt like I stood out more for wearing my bright colours and lipstick, rather than because of the colour of my skin. What was/is a culturally specific challenge you faced in regard to your sexual/gender diversity and how did you overcome it? “I didn’t feel like I faced many cultural changes in regard to me identifying as a lesbian from my PNG side but from my Chinese side, there was definitely an expectation to grow up, get married and have kids. I am the 9th child, the baby, all my older siblings are married and have kids. So, I definitely felt this expectation from my parents to do the same but fortunately not so much from my siblings. How did you bring your parents/siblings/family into your identity? “I came out to my siblings the day after my Dad passed. All of my siblings had gathered in PNG for the funeral, all of my family there and friends. 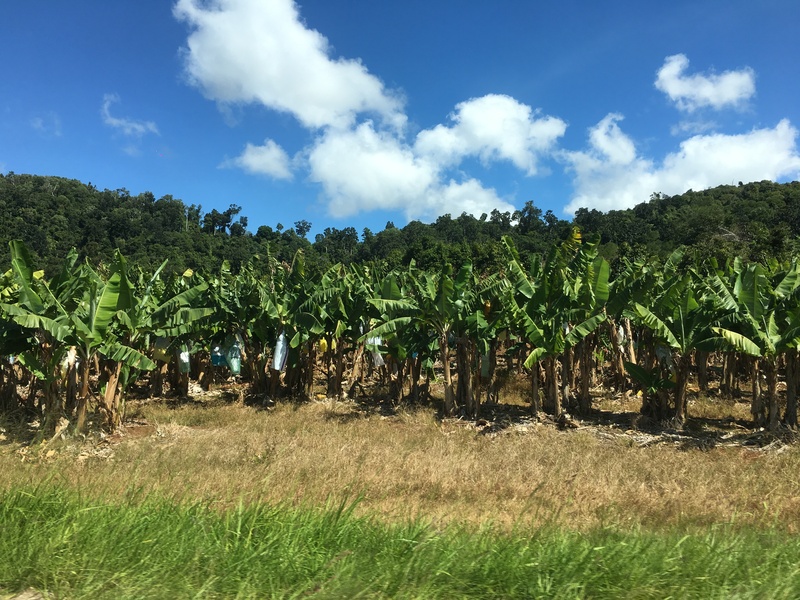 We had a “house cry” – people come from all over, bring food, all the young people constantly making tea, all in kitchen, serve oldies, in PNG people wail. My first girlfriend Kim, the same girl I had a crush on (my cousin’s best friend), had driven over the day after the funeral to my family home to see how I was and pass on her respects. However, my older sister, the one who disapproved of me, wouldn’t let Kim into the house. I was furious. Emotions were running high between everyone, we were all mourning the loss of my Dad. I was still so angry and hurt by my older sister’s remarks that I turned and began walking away from the house. My eldest brother calmly called out my whole name, my Chinese name, I knew he was serious. He said, “I never ask anything of you but I’m asking you this one thing now, I want you to come back to me now, I don’t want you to leave the home.” I went up to him and he gave me a huge hug. That was my coming out. Kim was still not allowed in the house, so I sat in the park across the house with her and chatted. Nothing was really said between my mum and I when I entered the house again. Things quietened down. Over time, after my dad passed, my mum would rely on me more as the younger one and being the one at home. I made the decision to move closer to town to live my own life and so my mother would learn how to rely on herself, I knew this had to be shared with all the siblings, everyone had to take responsibility. Since I was moving for work, it was accepted, if I just wanted to move out, that would make no sense to my mum. So I moved to Sydney North Shore and loved visiting the inner west and beaches, there was so much more diversity there and this made me feel wonderful. What really helped me in being comfortable sharing my identity with my family was that I had an older cousin, who was much older than me, about 10 years older who transitioned. I remember being in primary school when my parents said, “Warren is now a girl.” At the time I didn’t understand but as I got older, knowing that I had a cousin who was different too helped me. He went to Sydney, came back to PNG once and then never came back. It also really helped that my girlfriend at the time was also Chinese Papua New Guinean. She understood my societal and cultural context, we both understood the expectations from our families. It also really helped when we hung out in public in PNG and Australia. 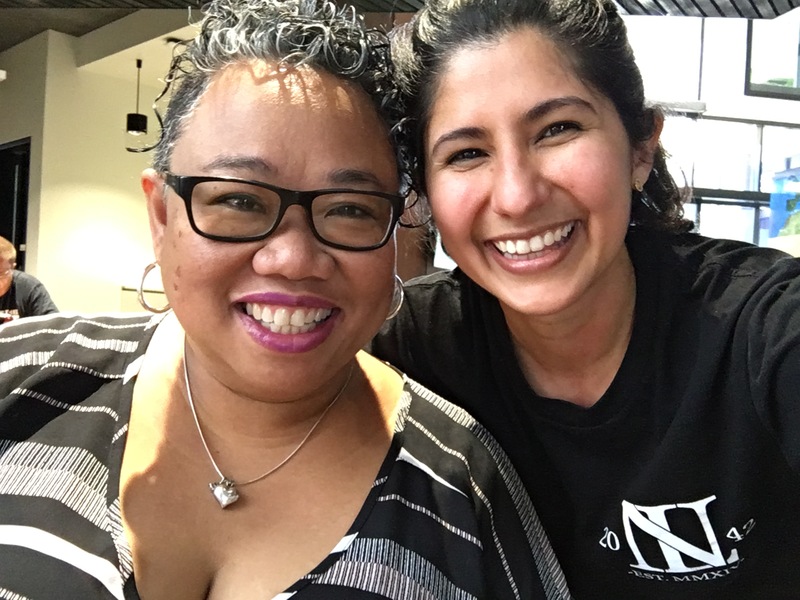 People just assumed we were cousins and we would joke about being “kissing cousins.” Having that social acceptance as a young adult helped me as I began to explore and better understand my own identity. It was also quite a unique place I grew up in, the city of Rabaul. Everyone in my home town was comfortable with the word ‘lesbian.’ Being an old international port visited my many people from around the world meant I grew up in a mixture of cultures and faiths. This helped. Yet, there was an unspoken apartheid, especially during my older siblings time where Chinese and Black people weren’t allowed to access public facilities reserved for Whites but by the time I grew up, this did not exist. How did you bring your friends into your identity? “Actually, for me, the hardest person to come out to was my best friend at the time, an Australian Indian woman who called me sister in Chinese, ‘Che.’ We had both met when we were 18. A boy I was seeing was boarding with this Indian family in Brisbane, that’s how I met my best friend. We went out clubbing together and used to pick up boys. She was very Australian and her parents were very Indian. Prior to being 18, I had not done anything sexual as I was expected to be a virgin until married. An unwanted pregnancy would bring immense shame to my family so I was terrified and knew if I wanted to be sexually active, I would have to do my research. So, I was always on the pill and used condoms and began to explore my sexuality. I was very active in my sexual being and was proud of myself for exploring my body and who I was. Finally, I told my best friend, that I had to tell her something. I feared rejection despite there being no precedence for it. The look on her face was one of complete disbelief since she had seen me hooking up with boys. But she still supported me, our relationship didn’t change and this time when we went out clubbing, I would spot boys for her. My Sydney life was much more gayer. I was more assured of who I was. Were you openly out at work? “I didn’t say anything in the jobs I worked in the café and airline industry throughout the 1980s and 90s but I wouldn’t pretend either. I was actually outed in my job in Sydney in the airline industry. A now gay Indian man, who at the time was struggling accepting his identify, outed me. I was lucky that my boss was a strong woman leader. She told me that it was all ok, she supported me and made me feel like it was ok.
What’s next for Vyven Wong?